Hi! I am a member of the Class of 2021 planning to major in microbiology and minor in clinical psychology and bioethics. Being born in New York but raised in Indiana for most of my life makes living in upstate New York a very different experience. I am part of the Hong Kong Student Organization, Society of Asian Scientist and Engineers, and the Undergraduate Society of Biology. Hopefully, I can provide valuable insight into life at the University of Rochester! Welcome, Class of 2022! Super excited you’re here. I definitely remember my first-year experience. As you get into the swing of things, I thought I would provide some advice on what to expect during the beginning of your first year. Why did you choose Rochester? Honestly, these questions do not even dent the surface of how many different questions you will be asked, but just be yourself. Icebreakers are common at the beginning of the year, especially in hall meetings. The icebreakers that I underwent was two truths and a lie, introduce your new friend, the M&M game, and several others. Try to be actively engaged as you will be able to find a lot of people with similar interests and hobbies from these icebreakers. Rochester has many events during the year. These events range from academic advice seminars and research seminars to more fun and relaxing events like movies, pizza and ice cream parties, capture the flag, bonfires, and plays/standup. Several memorable ones for me were definitely the improv troupe and the SBP Silent Disco (new tradition!). A lot of friendships are created at the beginning of the year. Try to branch out and meet as many people as possible, whether they’re in the clubs you just joined or they live down the hall from you. I connected with many of the people I am still friends with now at Orientation! It will be very daunting to meet so many people, but everyone else is equally as nervous, so just relax and know you are not alone. 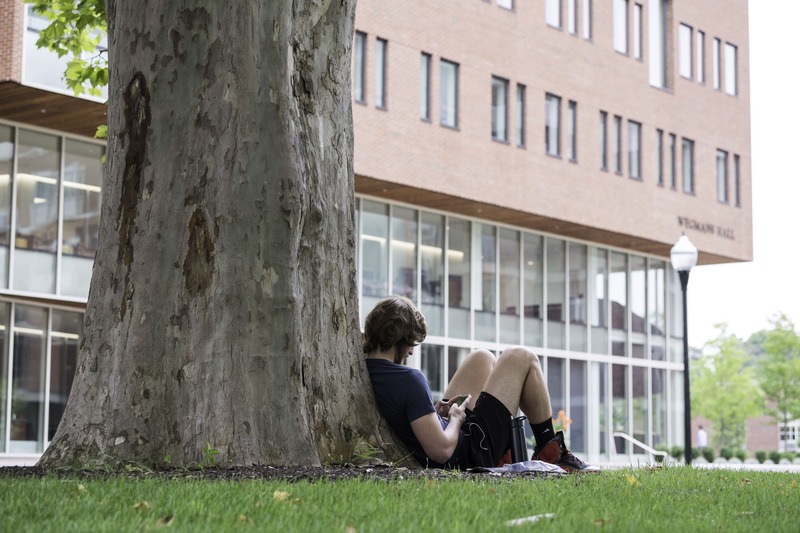 It is easy to become nervous or stressed out about school, but luckily, Rochester offers a lot of support programs through RAs, D’lions, and First-Year Fellows. If you ever start feeling stressed, nervous, or just want to hang out, try to reach out to your team. My D’lion was definitely a large part of how I was able to survive and thrive during the start of my first year. She gave me a lot of encouraging advice and fun things to try during my first week such as the Douglass late plate (Rochester’s version of the garbage plate) and hammocking on the Quad. These first couple months fly quickly in your college career, and it will be one of the best memories you have looking back at college! Although there are new classes, new stresses, and new adjustments to be made, try to not stress about those and focus on being positive, being yourself, and most importantly, enjoying your first year, as this marks the start of your college career!